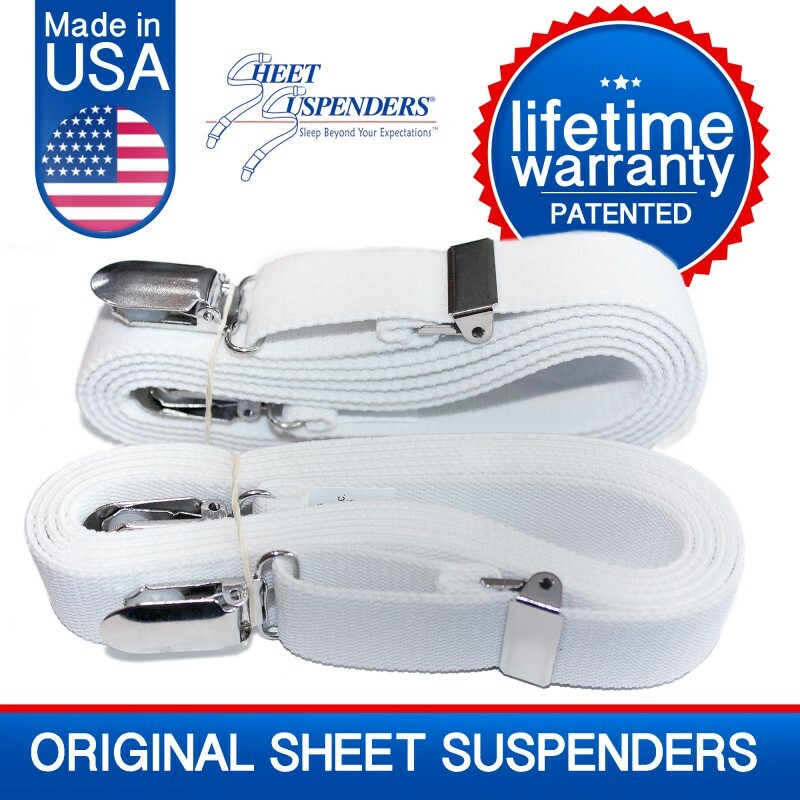 Elite Sheet Suspenders® are simply the highest quality model we make. 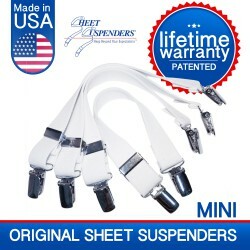 New and improved, modifications based on customer feedback, only sold by Suspenders USA! One Size Fits All! Tested, Approved and Recommended by Good Housekeeping Institute for crib sheets. 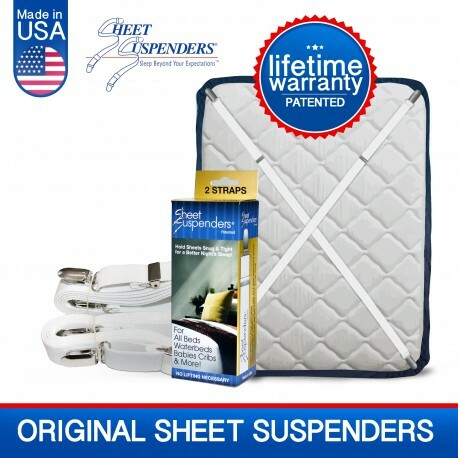 Sheet Suspenders are two (2) individual suspender straps made of the finest woven elastic that adjusts to any size. Most importantly, Sheet Suspenders are easily slipped under any type/size mattress, even a baby’s crib to form a criss cross. There is absolutely no lifting of the mattress necessary and they need be applied only once! 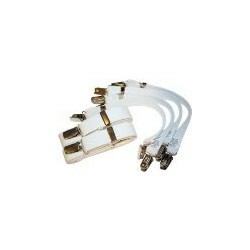 The four easy-open nickel-plated steel clips have nylon inserts that will not damage sheets. Custom clip that does not damage sheets but offers a powerful grip. 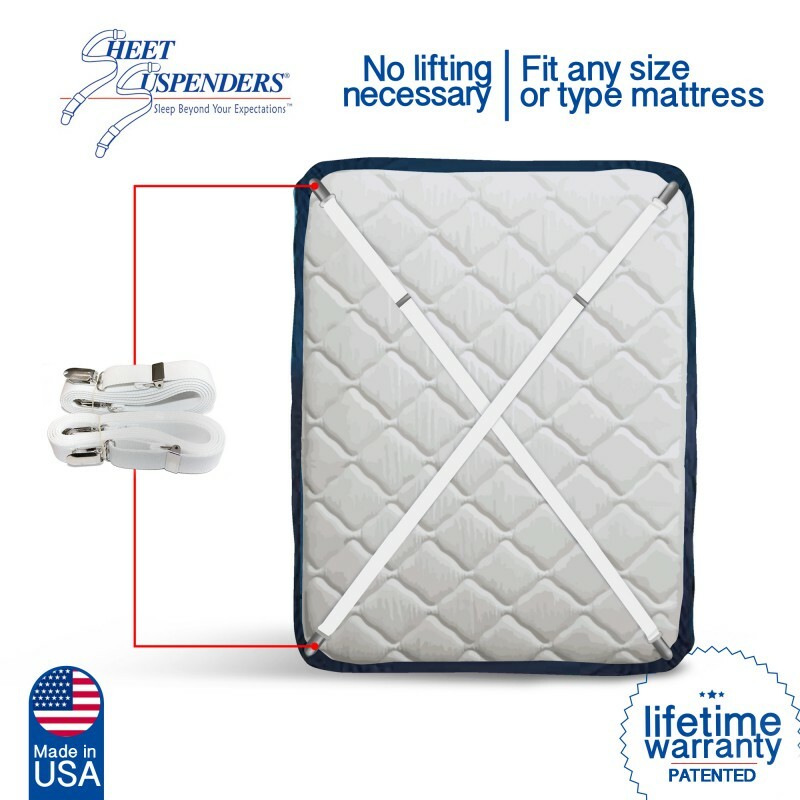 Fit any size or type mattress; air mattress, water mattress adjustable beds, baby cribs and even odd shaped mattresses such as those found in boats and RV's. The only product of it's kind used by state and federal governments,as well as the finest hospitals and hotels in the world. Easy to use: When changing the sheets, do not lift the mattress. The weight of the mattress keeps suspender straps in place. Lift four corners of fitted sheet a little, unclip. Put new sheet on and re-clip four corners. For all mattresses, first time: Put fitted sheet on. 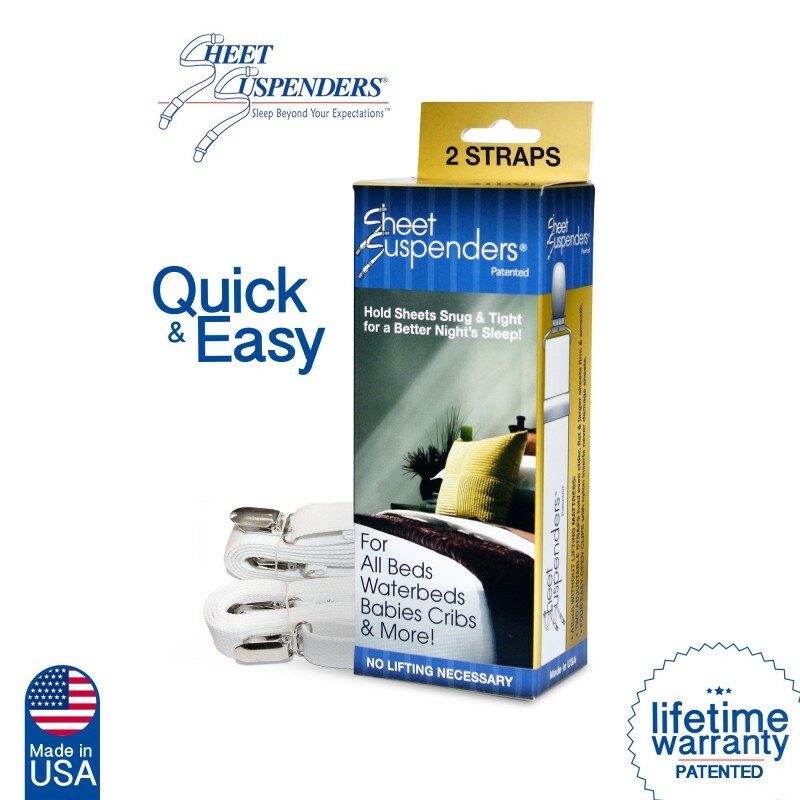 Lift corner of sheet & clip suspender strap to sheet, tuck sheet corner back under. 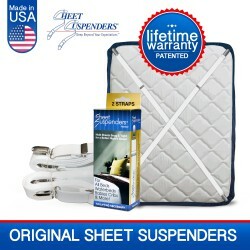 Walk suspender along side of bed to the opposite (diagonal) corner, while slipping suspender under the mattress. lift corner of sheet & clip, tuck back under. Repeat steps 1 & 2 on opposite corners to form an \"X\". Slides should face foot of bed for adjustments.